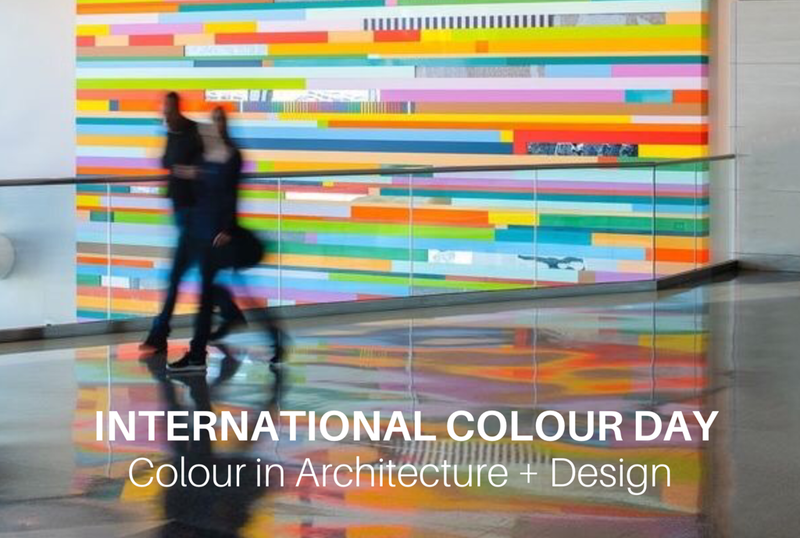 Along with my Colour Collective Sydney co-founders, we hosted a fabulous event to celebrate International Colour Day. The event’s theme was colour in architecture and design, and our keynote speaker was Nuha Saad, a Sydney-based installation artist and sculptor. Nuha’s colourful public art installations feature in many sites across Sydney. Her works have been commissioned by the City of Sydney, Meriton developments, Marrickville High School, Glebe Primary School and Transport NSW. Naomi Shaw of the Colour Collective Sydney welcomed guests and I had the pleasure of introducing the Colour Collective Sydney and talking about our future plans. Nadine Donazzan talked about the colours of Morocco and her forthcoming Colour Collective tour to Morocco in October/November 2019. The event drew architects, designers and members of the general public. Guests enjoyed French champagne, wine and a stunning charcuterie and cheese table. A fun colour psychology interactive prompted much talk about responses to colour. Thanks are due to Caroma on Collins for providing a fabulous venue for the event. A special mention of thanks are due to Deborah de Jong and her fabulous team for helping to make the event such a success. The image featured is Leah Rosenberg’s ‘Everywhere, a Color’ at San Francisco International airport, 2018.